Our strategy for the National Water & Wastewater Conference (NWWC) was a lot more than just amalgamating our many specialty conferences. Yes, we are still the National Drinking Water Conference and the National Wastewater Conference and the Efficiency Conference and Security and Climate Change, etc., ...all in one place. But we are truly focused on utility leaders. While this consolidated format has added a full stream on Utility Leadership, this concept is infused into every stream of this event. We are so proud that this format has been such a success and is serving our members. CWWA hosted its 17th Annual Window on Ottawa from June 4-6. This Event remains an Association landmark, offering insight into federal programs and activities. The event brought together almost 100 delegates and speakers creating a platform to utility leaders and federal senior representatives to meet and discuss face to face. According to the UN (2014) ‘Globally, more people live in urban areas than in rural areas, with 54 per cent of the world’s population residing in urban areas in 2014. Today, the most urbanized regions include Northern America (82 per cent living in urban areas in 2014), Latin America and the Caribbean (80 per cent), and Europe (73 per cent). As described in the OECD (2015) report, ‘Cities are major contributors to national economies and play a key role as nodes in global markets. But cities can only develop sustainably when they provide reliable water supply and sanitation services to city dwellers and manage risks of too much, too little or too polluted water. Our keynote address will focus on the new ECO report "Every Drop Counts" that focuses on the connection between water and energy in Ontario’s municipal water and wastewater systems. These systems are the largest energy users for most municipalities, accounting for almost 40% of the total usage, on average. 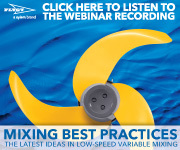 A scenario that is played out in water and wastewater utilities across the country. 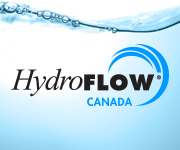 HydroFlow Systems have proven themselves, with over 25 years of success, across 68 countries. 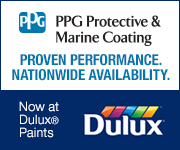 STOP Limescale formation, ELIMINATE existing Limescale buildup, REDUCE Biofilm, Bacteria and Algae, chemical free. 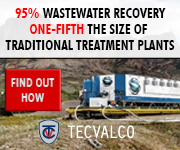 REDUCE Struvite and Polymer usage in WWTP Dewatering Processes. Applications: Cooling Towers, Boiler and Steam Boiler Systems, Water Heaters, Humidification Systems, Commercial Swimming Pools, WWTPs and more… Environmentally Friendly, Chemical Free, Proven, Patented and Verified Systems. Big data, internet of things (IoT) and Artificial Intelligence (AI) are rapidly making their way into the water industry. A plethora of organizations in the water sector are pushing the envelope and taking us into the digital water future. Coupled with the right business models, these technologies are bringing new capabilities for managing water systems that will have an unprecedented impact in reducing costs, optimizing capital investments, and increasing revenue for water utilities. Water Canada explores the impact of technology on the water sector. 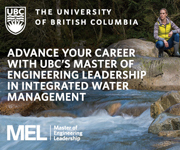 CWWA will have an entire session devoted to the topic at the upcoming National Water and Wastewater Conference, including some of the contributors to this article. Engineers are putting the final touches on AWWA’s newest standard, the first ever to cover the complexities of lead service line replacement. On July 21, 2017, Canada’s Minister of Natural Resources, the Honourable Jim Carr, today announced a call for expressions of interest for funding to support the next-generation smart grid systems, reduce the reliance of northern and Indigenous communities on diesel fuel, increase the number of electric vehicle stations and help build new net-zero buildings across Canada. Core infrastructure assets are basic services at the community, regional, provincial and national levels critical to Canada's economic competitiveness, environmental sustainability and quality of life. These assets include roads, bridges, public transit, and water and wastewater systems. The Manitoba government is investing over $34 million in new water and wastewater upgrades for Manitoba municipalities. The announcement is part of a five-year Manitoba Water Services Board capital funding plan that will invest a total of $34.9 million in 21 water and wastewater infrastructure projects across Manitoba. 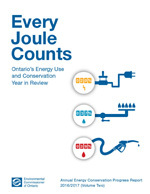 On August 11, 2017, the Environmental Commissioner of Ontario released Volume Two of her 2016/2017 Annual Energy Conservation Progress Report, Every Joule Counts: Ontario’s Energy Use and Conservation Year in Review, to the Ontario Legislature. RPC is a research and technology organization (RTO), with the core mission to harness science and technology in the service of innovation, and to build economic competitiveness. 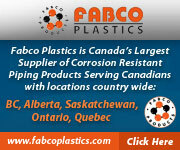 As provincial crown corporation, RPC is New Brunswick’s provincial research organization (PRO) offering contract R&D and technical services to business and all three levels of government. Browse our calendar of CWWA, member and partner events. The Bloom Centre for Sustainability (BLOOM) released a pilot project case study today entitled, Driving Adoption of Innovative Solutions in Ontario’s Bakery Sector – Demonstrating the Approach and Benefits of Source Reduction as Part of Wastewater Management. The Northwest Langley Wastewater Treatment Plant is being expanded to serve residents and businesses in Maple Ridge and Pitt Meadows. The four-year project, set to begin in 2022, will increase the plant's capability from serving 30,000 people in Langley to 230,000 in three municipalities. Yesterday, the Government of Canada announced improvements to water infrastructure for two First Nations communities in Ontario, with the goal of lifting long-term drinking water advisories. Carolyn Bennett, Minister of Indigenous and Northern Affairs, announced that the Mississaugas of Scugog Island First Nation will receive infrastructure upgrades. Minister Bennet also announced that the Chippewas of Georgina Island First Nation will receive an investment to improve water infrastructure. There are an increasing number of municipalities in Ontario adopting environmental management standards (EMS) for their wastewater and stormwater systems in the form of ISO 14001, a standard of the International Organization for Standardization. The bowels of Hamilton's wastewater systems are about to get a major overhaul. Representatives from the federal, provincial and municipal governments gathered today at the Woodward Wastewater Treatment Plant to celebrate the start of construction for $340 million in upgrades to the aging plant.